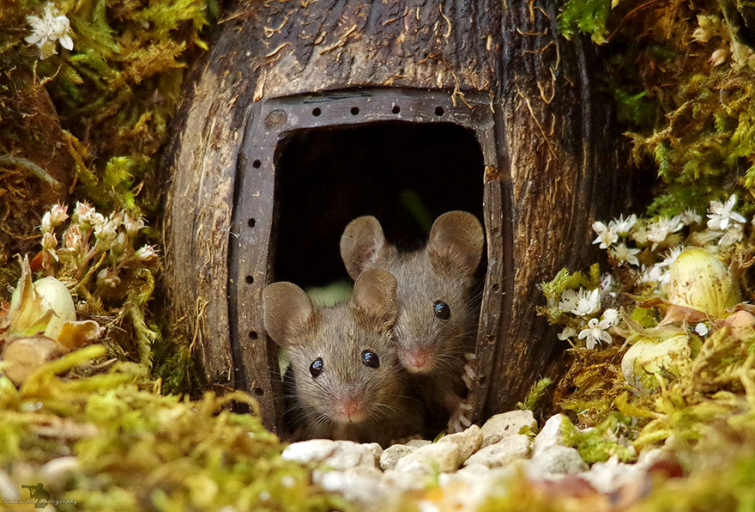 Mice; some people love them, others genuinely fear them. 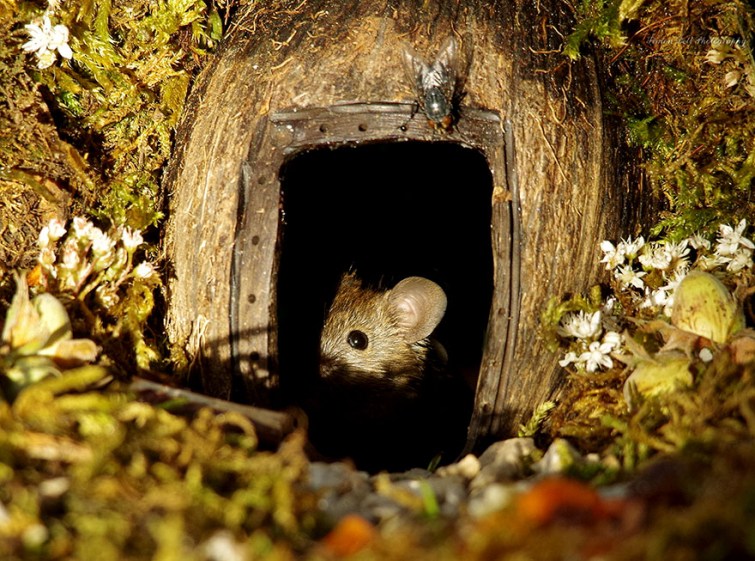 Simon Dell is one of those people that doesn't get scared easily by the small rodent. 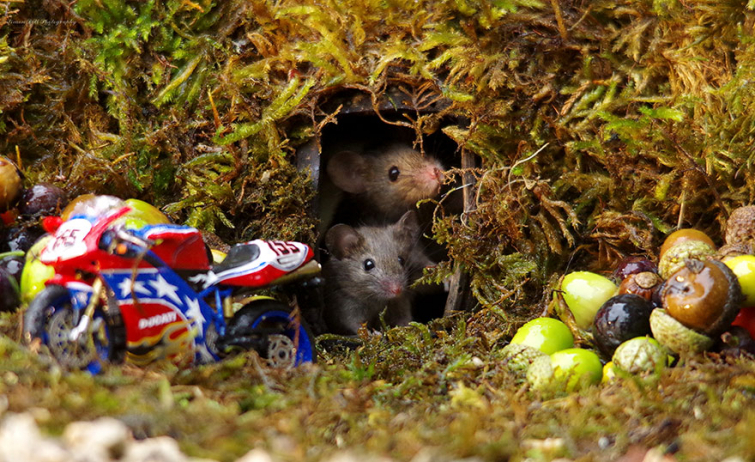 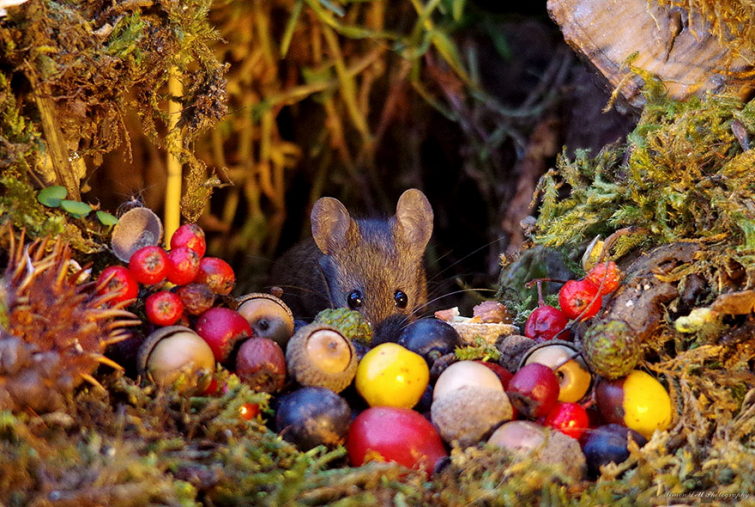 The photographer discovered an entire family of mice in his garden. 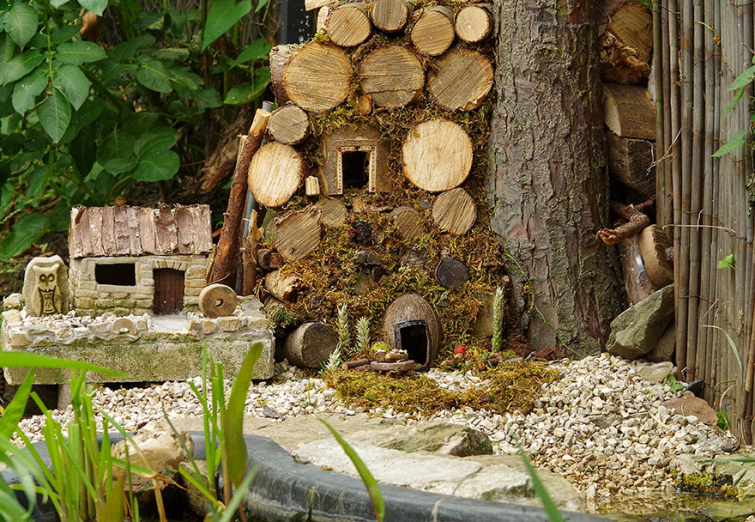 Instead of setting up a bunch of traps, the creative artist designed a miniature village for the cute little animals. 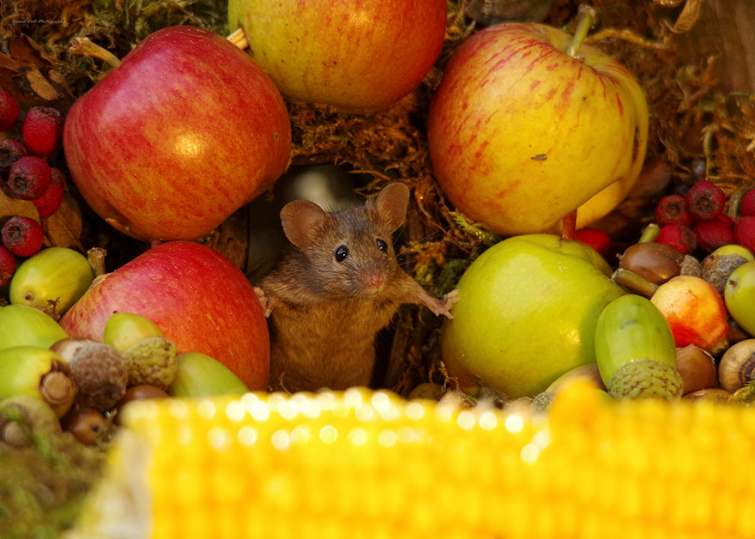 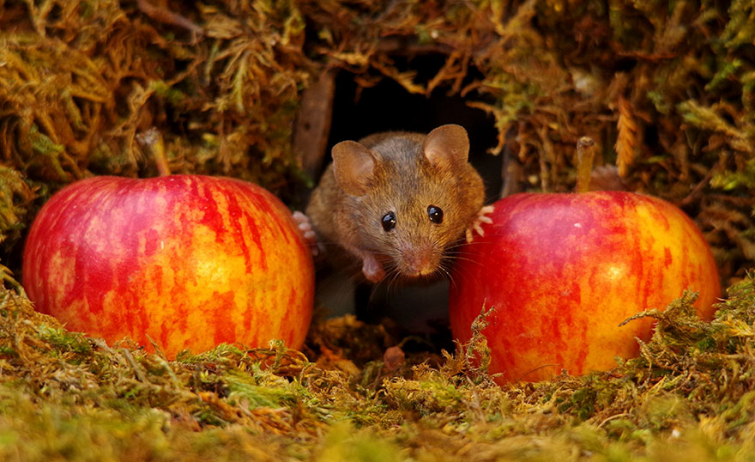 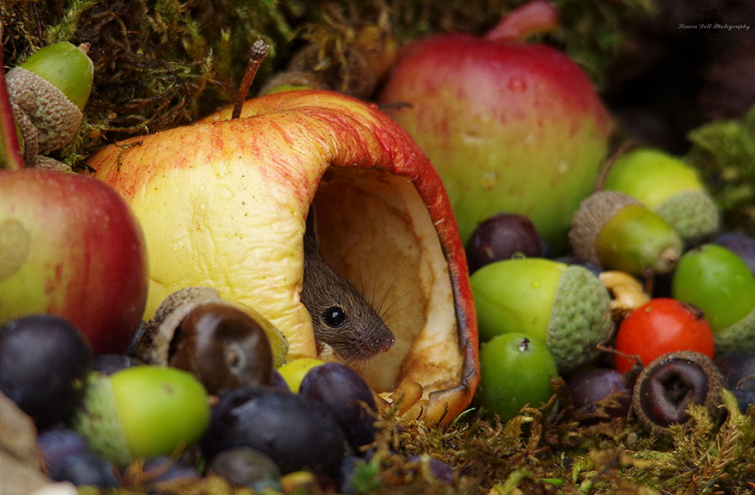 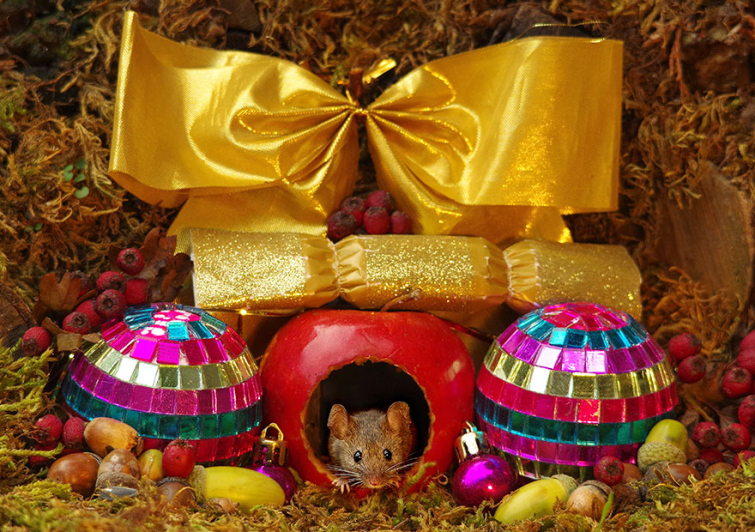 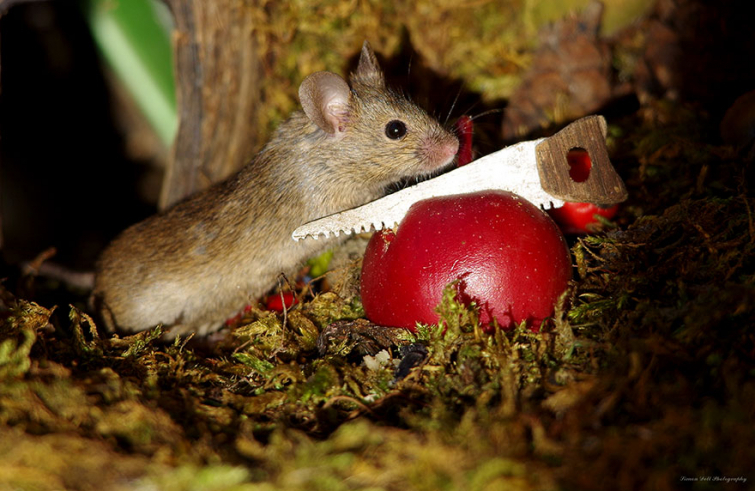 The thankful mice repay him by posing in his newest photo series. 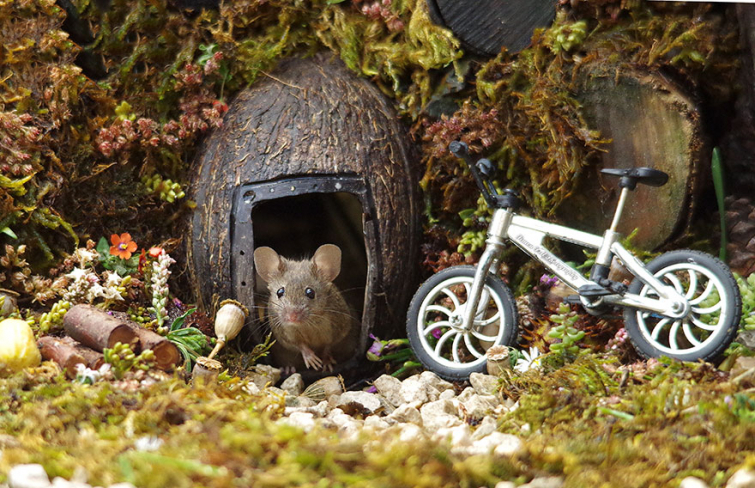 "I decided to build them a home as I wanted to give them a safe place in the garden and not fall prey to cats or other animals", Simon told BoredPanda. 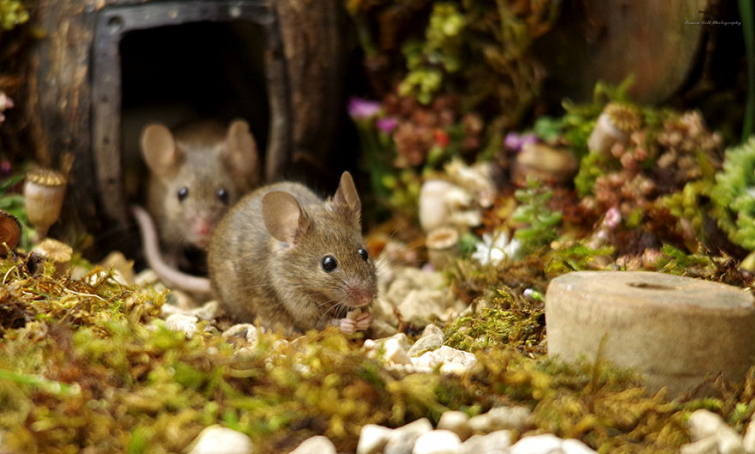 "Also, as I was feeding the mice it was the right thing to do as I would feel it was my fault getting them to come out if they became prey. 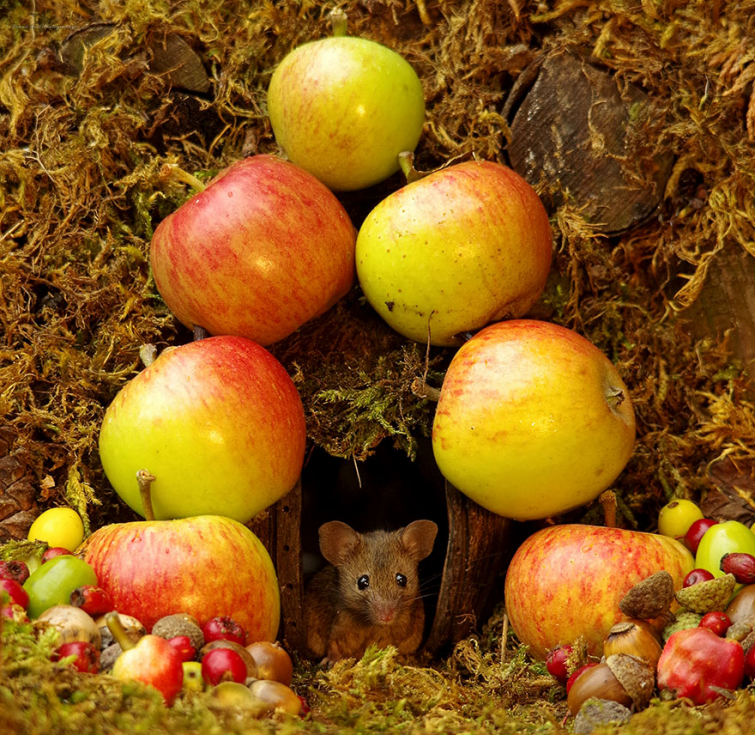 Being a wildlife photographer, I wanted to create a nice looking habitat for any pictures I would take." 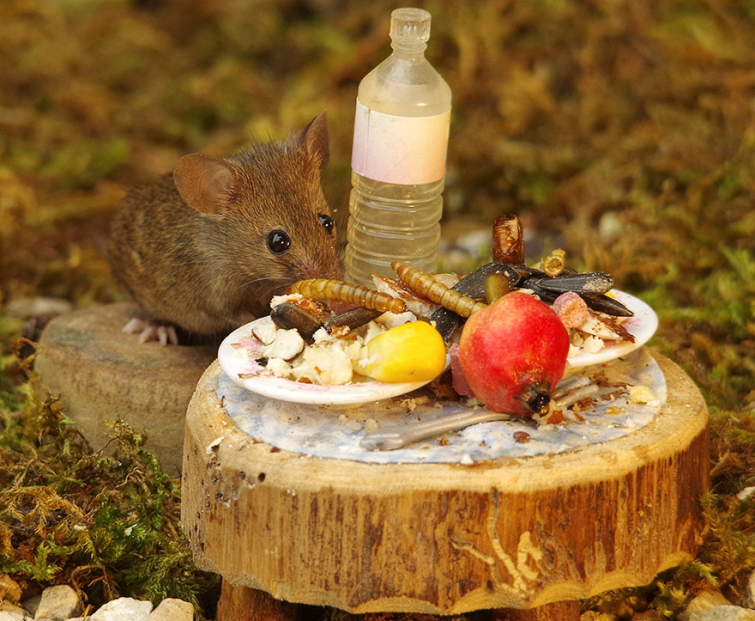 Simon feeds the mice regularly and even protects them from the winter cold. 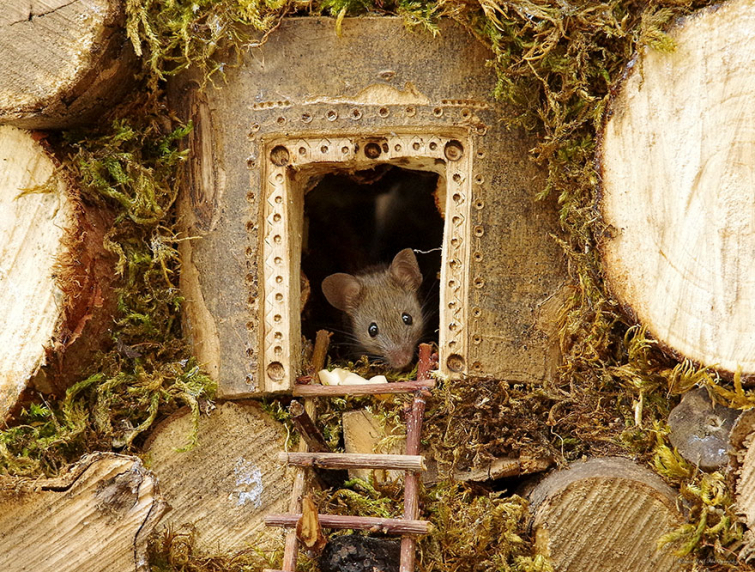 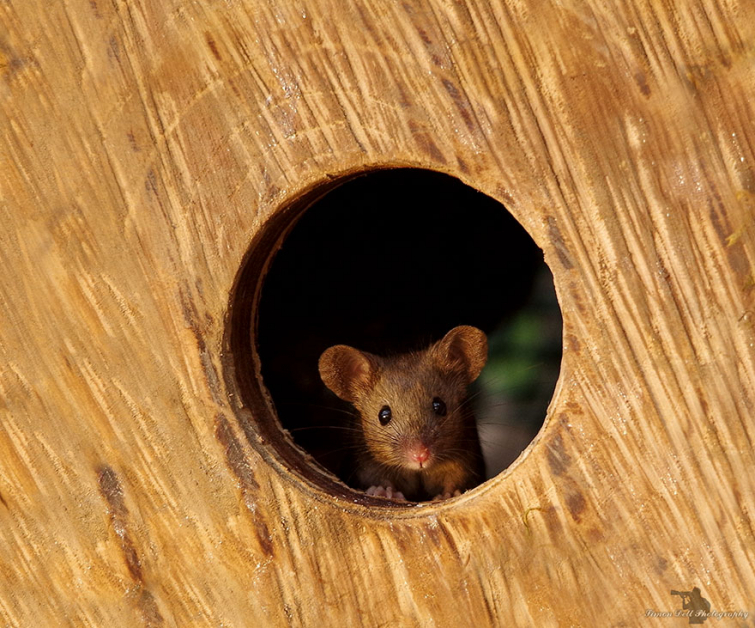 "The mice are still here and living a very happy life. 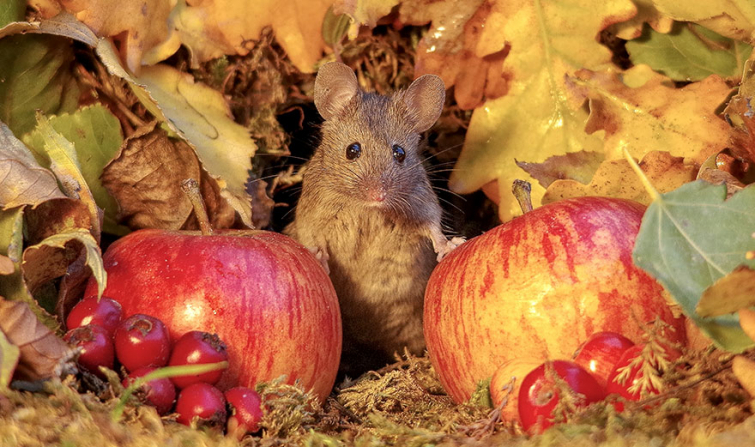 It is winter now, so the days are shorter and they come out less often. 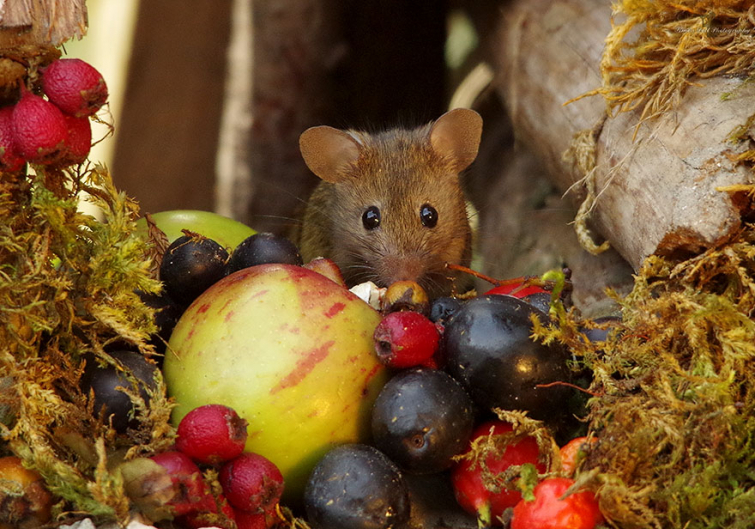 Once it gets dark, it can be hard to see them. 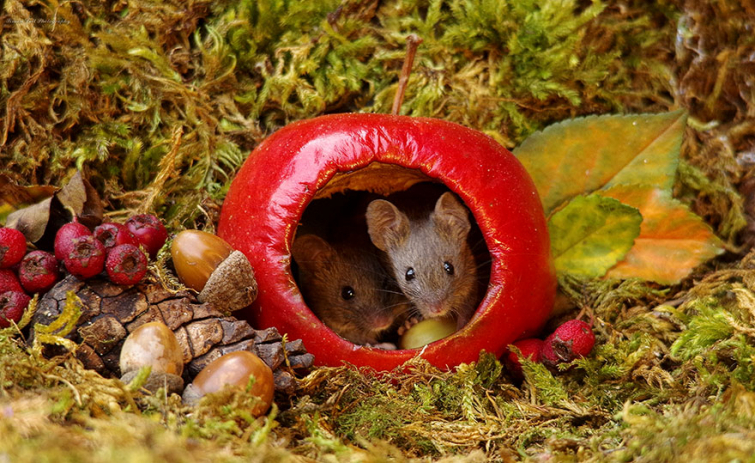 However, I see them come out in the day for food and it is always all gone by the next morning. 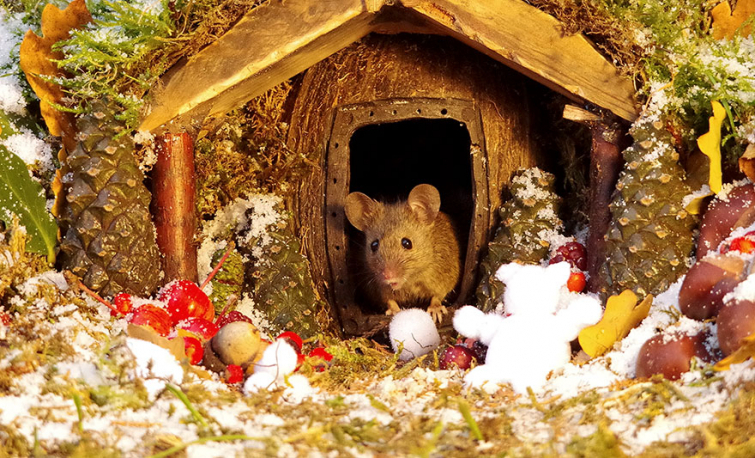 I also give them handfuls of feathers from an old pillow and they take that to line their beds inside and keep them warm on these cold UK winter nights."